Bringing hope and practical support for women caught up in addictive behaviour. ►TK is an Ipswich-based charity whose mission is to reach out with love, compassion and practical support to help women break free from their addictions. ►Three ‘Women Together’ support groups meet each week. 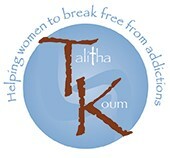 They offer support and hope for any woman whose life is affected by any addiction. One of those groups meets at the church on a Monday evening. ►TK has built a residential, rehabilitation centre called “The Hope Centre” and are currently reviewing how this will be used to support their aims.